*I received a charm bracelet to review. No other compensation was received. I have always eyed charm bracelets with customizable colors and charms. I think it’s a great gift idea since each bracelet is unique and tailored to the recipients interests and tastes. I was thrilled to receive IRIS Beads and Charms by Joseph Nogucci, and the bracelet I received to review was better than I could have imagined! I immediately noticed the colors and intricate details of each of the charms. 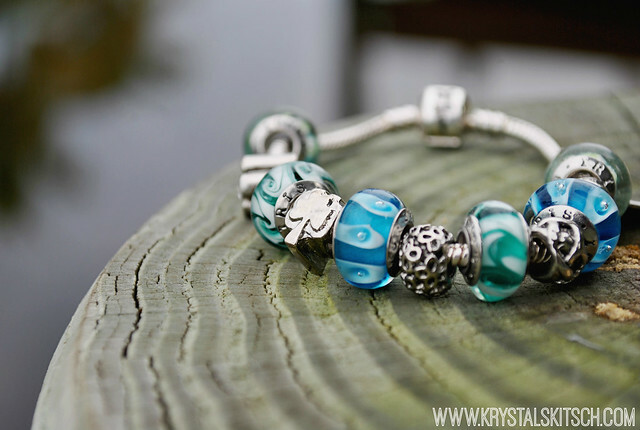 I picked a bracelet that had my favorite colors (blue and green), and I loved the variety of shades each glass charm displayed. The Silver IRIS Starter Bracelet is the first component of the overall package. This sturdy bracelet fit my wrist perfectly, and it was easy to snap on and off. 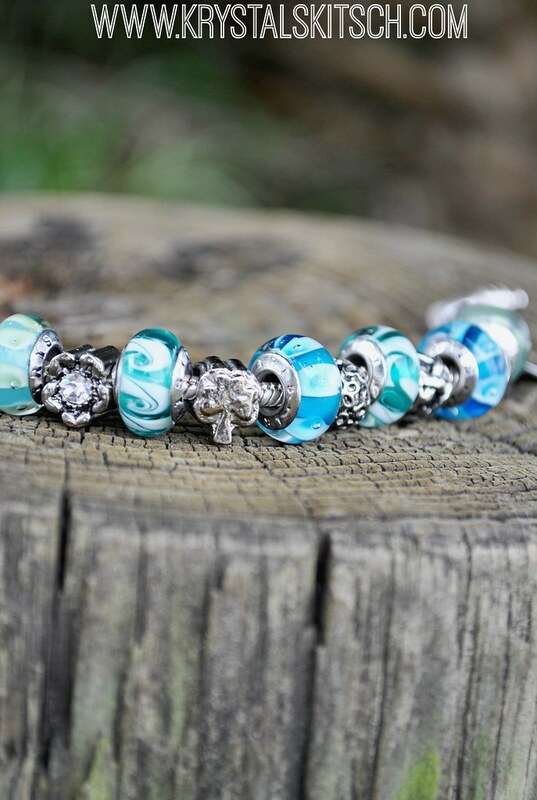 The IRIS signature glass beads and charms are unique, high-quality and affordable. I noticed the Nicole and Rebecca beads instantly. Their vibrant color stood out and caught the attention of friends and family. I wore this bracelet on my recent trip to Key West, and I received a lot of compliments. 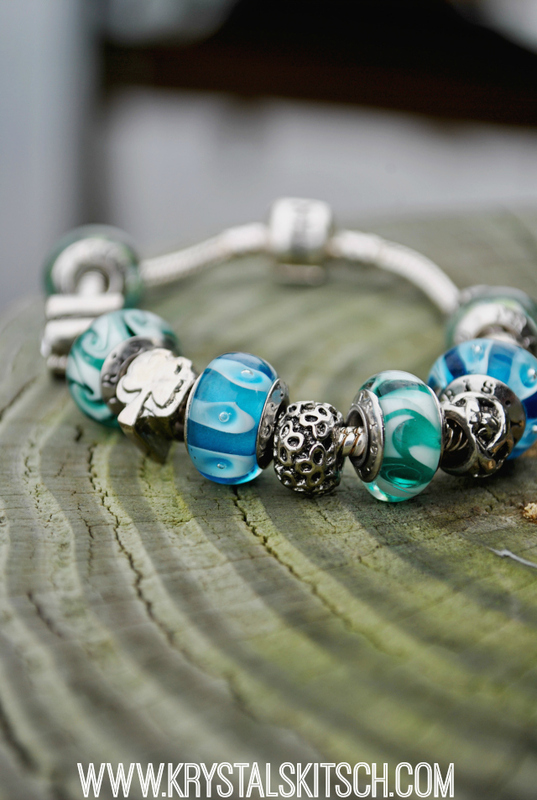 The charms are a fun addition to the bracelet since they are what makes each one special. My bracelet had a few charms, such as the Caroline and the Renee, and there are many that I’d like to add! There are seasonal ones, such as a gift and a Christmas tree, and a few other colorful ones. Do you have a charm bracelet? What kind of charms do you have? Check out the collection of IRIS beads and charms online. I love those blues, just really, really pretty! Thank you for linking your post to Super Sunday Sync.